Top Three Best Wireless Dash Cams For 2019 - Which? 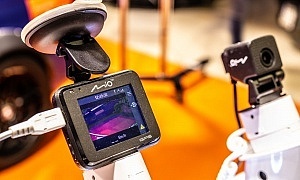 A wireless dash cam uses a wireless internet connection to stream or send footage to your computer, tablet or smartphone. These wireless dash cams are useful, but the big price that frequently accompanies them shouldn't be mistaken for a mark of quality. We've seen plenty of high-end models disappoint in our in-depth dash cam lab test. Be sure to look at our reviews, below, before committing to an expensive new model. Only logged-in Which? members can view our recommendations, below. If you’re not yet a member, you can get instant access to these results and all of our online reviews if you join Which?. As one of the most advanced dash cams on the market, it of course also has wi-fi built in. Not only does it have a rich list of features, but it's our highest-scoring model ever tested, too. Find out which model by logging in now. Priced at less than £70, it's definitely a cheaper option than other big-name models; to get wi-fi for this sort of money is near unheard of. Not only that, but it also does a great job of recording the road ahead. Sign in to find out more. An outsider option from a lesser-known brand, we were pleasantly surprised by how strong an all-rounder this dash cam is. Its wi-fi is one of several useful features that help it stand out. Log in to read more. Pricing, recommendations and test scores correct as of April 2019. It may be an advanced, and often expensive, feature, but the presence of wi-fi on a dash cam is no guarantee of quality. The two models in the table below are proof that there's really no telling how well a dash cam will perform until you get it out on the road. We've gone to that effort so you don't have to. 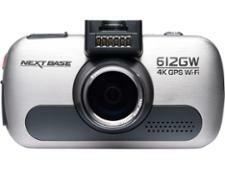 Take a look at the wireless dash cams below and be sure to buy something else. This incredibly pricey sat nav/dash cam hybrid failed to impress in our tests. We found the dash cam footage was average at best. Daytime recording was acceptable but night time footage was awful. Even though most of the night recordings came out pitch black, road signs still produced significant glare. This model may be succeed as a sat nav but it simply wasn’t good enough as a dash cam. A fairly pricey model from a little-known camera brand, this dash cam is a pain to fit and simply doesn't provide good enough footage. Make sure you stay clear of it by signing in to read the full review. Is a wireless dash cam worth the money? A wireless dash cam will often cost you more money than a comparable model that isn't wireless. That means you need to consider whether it's worth the extra expense to you. Wi-fi is most useful when the camera in question doesn't have a built-in display. It can be hard to tell how you've angled the camera and what it's filming, so wi-fi can allow you to see through the dash cam's lens in real time via your smartphone's screen. The other main use for a wireless dash cam is being able to transfer recordings to your computer, tablet or phone without messing around with cables. A wireless dash cam will usually come with bespoke software that allows you to seamlessly and simply send your files across. This isn't quite as crucial a feature, but it's definitely a time-saver. You might not be too fussed about either of these features, in which case you could well save money by simply buying a model without wi-fi. If you do decide to buy a wireless dash cam, be sure to check exactly what features the wi-fi grants you - as not all models are the same. Can you buy a truly wireless, battery-powered dash cam? No. 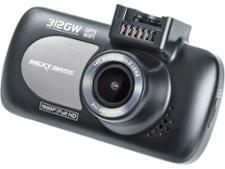 You can buy a wireless dash cam that allows you to transfer footage without using a cable. But every major dash cam on the market connects to a car's battery via a cable - either one that's trailed to your car's 9V socket or hard-wired into the dashboard. 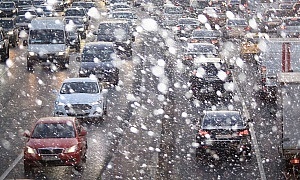 Many dash cams have internal batteries to ensure recordings are saved in the case of a power outage, but they need that continuous cable connection to run for any practical length of time. 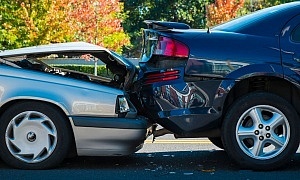 There aren't any truly wireless dash cams out there right now, and we would advise you to steer clear of any you can find that run on batteries alone. 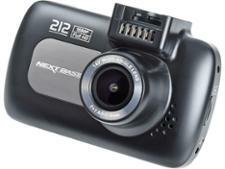 We'll help you find your ideal model - see our dash cam reviews.